Growth factors are extracellular polypeptides that bind to cell surface receptors and trigger intracellular signaling cascades, resulting in cell proliferation and/or differentiation. Growth factors can be versatile, stimulating growth in a variety of different cell types (for example IGF-1), whilst others are cell-specific (for example erythropoietin acts solely on erythrocytes). Cytokines are a subtype of growth factors that are produced by hematopoietic and immune cell types, and include interferons and interleukins. They are able to inhibit, as well as stimulate, cell proliferation and differentiation. Cytokines can act in an autocrine, paracrine or endocrine manner and there is little to distinguish them from hormones. 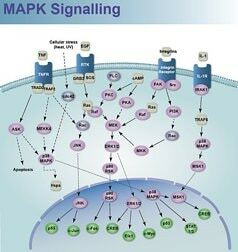 Cytokines are the main mediator of the innate and adaptive immune responses. Growth factors regulate the fundamental cellular process of proliferation and differentiation. 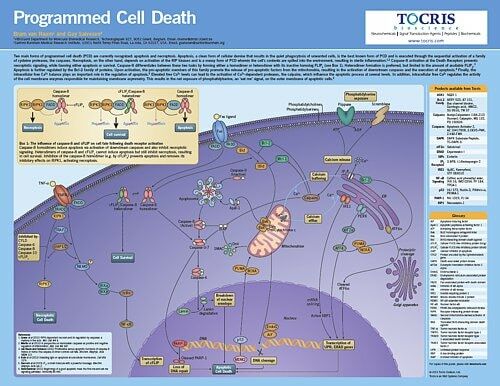 Overproduction of growth factors is a common feature of tumor cells, stimulating inappropriate and unregulated proliferation of themselves in an autocrine fashion, and of adjacent cells in a paracrine fashion. Furthermore, activating mutations in growth factor tyrosine kinase receptors, which leads to constitutive receptor activation, are seen in a variety of tumor cell types. Dysregulation of cytokine signaling is implicated in malignancy, in addition to several other pathophysiological processes including viral infections and autoimmune diseases. Under normal conditions, host-derived cytokines suppress tumor formation by controlling infection, inflammation and immunity. Some tumor cells exploit host-derived cytokines to promote growth, attenuate apoptosis, and facilitate invasion and metastasis. 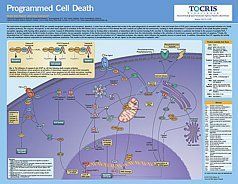 Tocris offers the following scientific literature for Growth Factors and Cytokines to showcase our products. We invite you to request* or download your copy today!